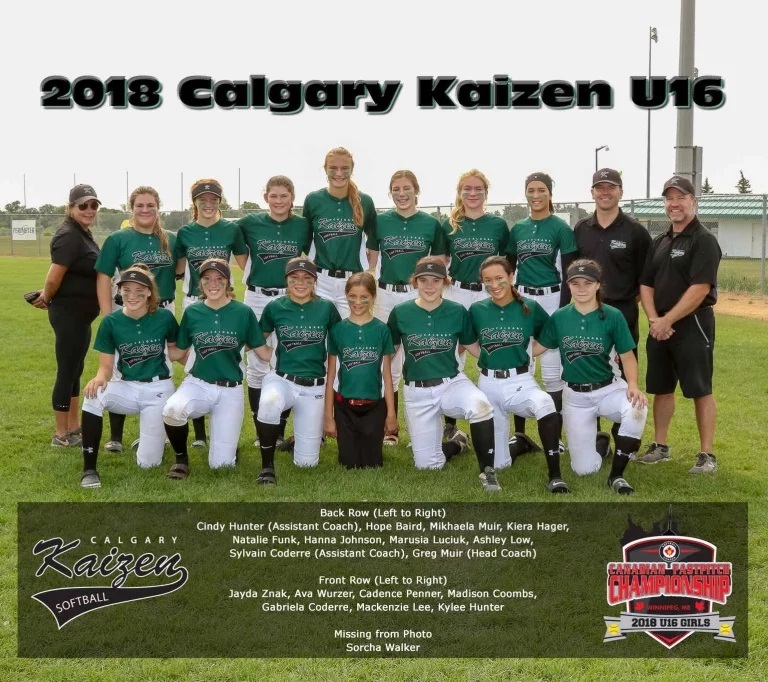 Kaizen Softball is a competitive girls’ fast pitch softball organization based in Calgary, Alberta - Canada. Our season runs from November through to the end August and includes both indoor and outdoor training and games. teamwork, skill development, sportsmanship and fun for girls in the extended Calgary area who have the skills and desire to play at a competitive level. Kaizen Softball is Calgary's premiere Competitive-A level softball club. The origin of our club's name "Kaizen" came from Calgary's original Kaizen softball team. In 2007, the Calgary Kaizen Junior team was formed. That team went on to win the National Championship that year and ultimately was inducted into the Alberta Softball Hall of Fame (2014). The official name of the organization is All-Star Girls Fastpitch Association but we compete under the name Kaizen Softball. The Kaizen Softball program strongly believes in the philosophy of our name: the word Kaizen means "continuous improvement" and this is a goal for all of our teams. Players work diligently to improve year over year, always striving to achieve excellence. Calgary Kaizen is the only program in Calgary which features only A level teams. We operate teams from the U12 level through to U19. Our teams compete with a great level of success at Provincial, Western Canadian, and Canadian National championships.